Kaktovik is the only village within the refuge’s coastal plain, where development is planned. 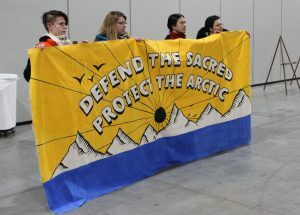 Opponents of oil development in the Arctic National Wildlife Refuge banded at the Feb. 11, 2019 hearing in Anchorage. 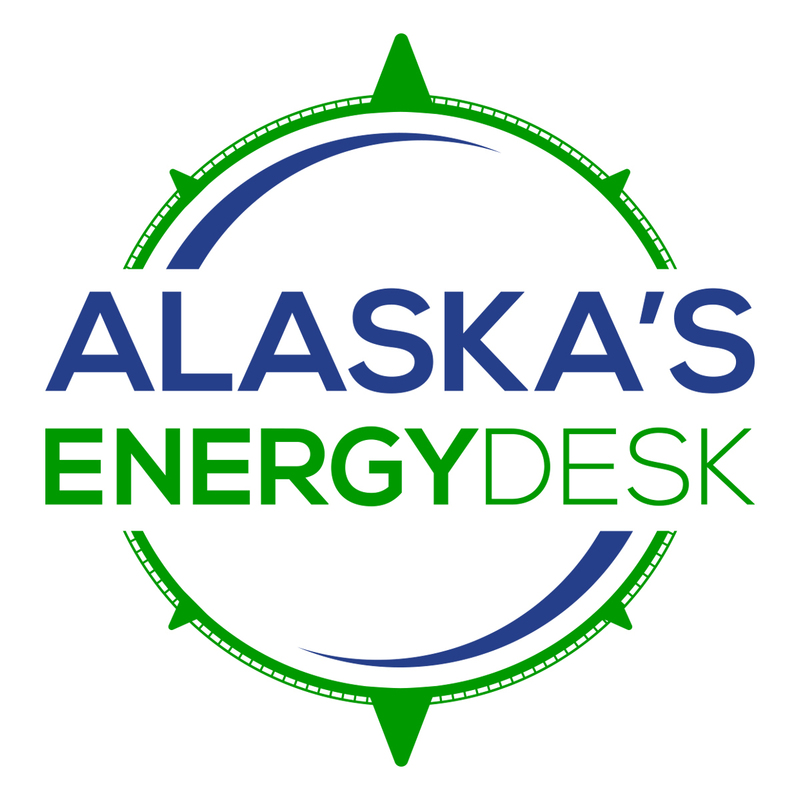 (Photo by Elizabeth Harball/Alaska’s Energy Desk. 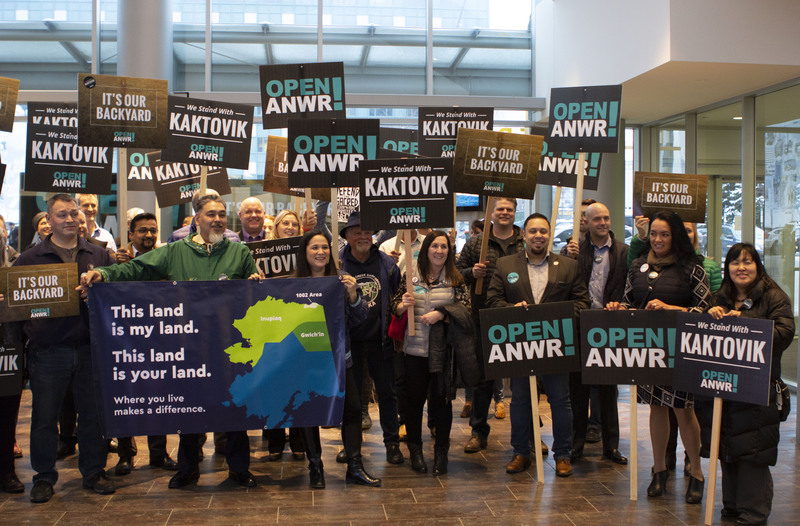 Gamache reflected on disagreement in the Alaska Native community over resource development, and how she thinks that outside entities can take advantage of that division. Previous articleAsk an Economist: What does the PFD do for jobs, crime and health in Alaska?